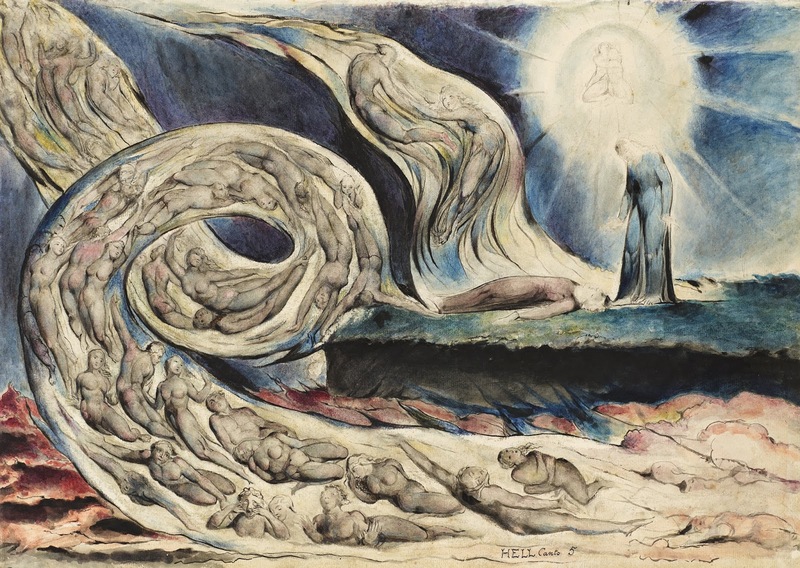 Still swooning over William Blake's illustrations of Dante's Divine Comedy - the last artworks he ever produced, commissioned when he was 65 years old and continued on his death bed. 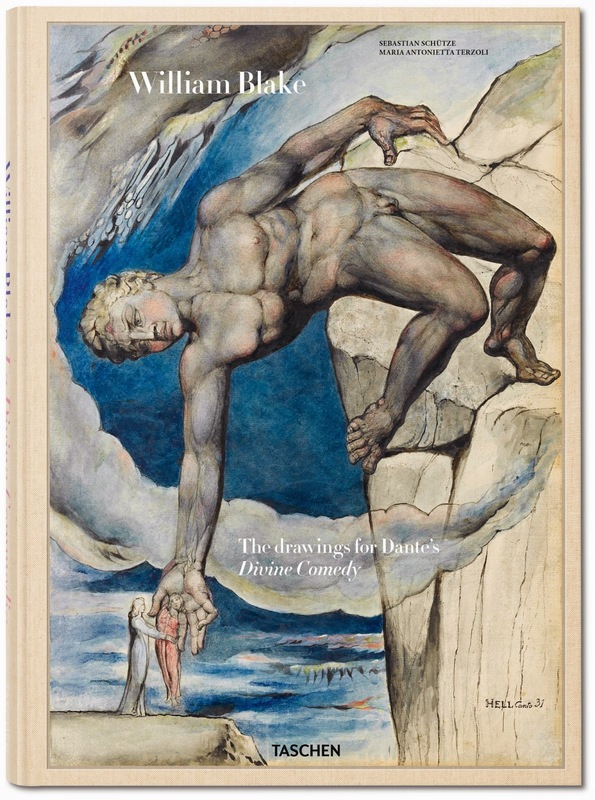 The images arrived recently in my inbox because Taschen is releasing a beautiful new edition to mark the 750th anniversary of Dante's birth. 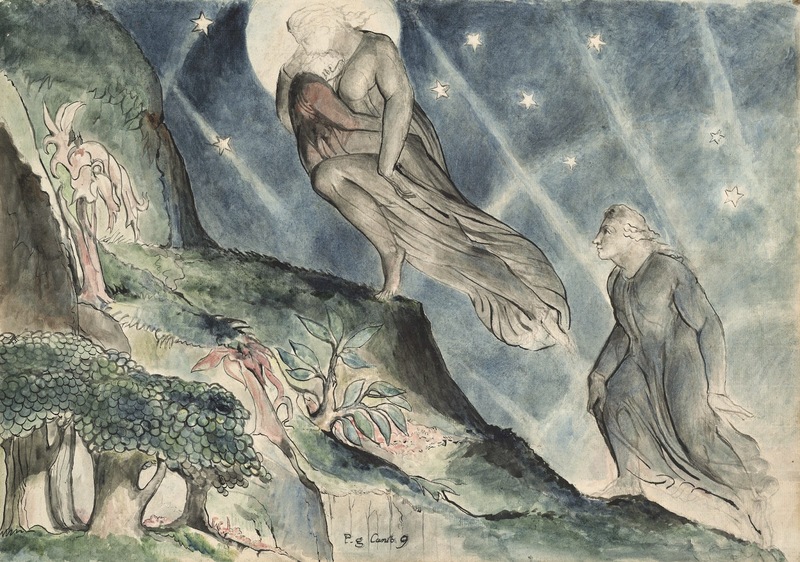 Blake interpreted the epic poem in 102 drawings, some of which the new book shows as fold-out spreads. The essays come from Sebastian Schütze, professor of Early Modern Art History at Vienna University, and Maria Antonietta Terzoli, professor of Italian Literature at the University of Basel. Lucy carrying Dante in his sleep up to the entrance to Purgatory. Right: Dante and Statius sleeping, while Virgil keeps watching. 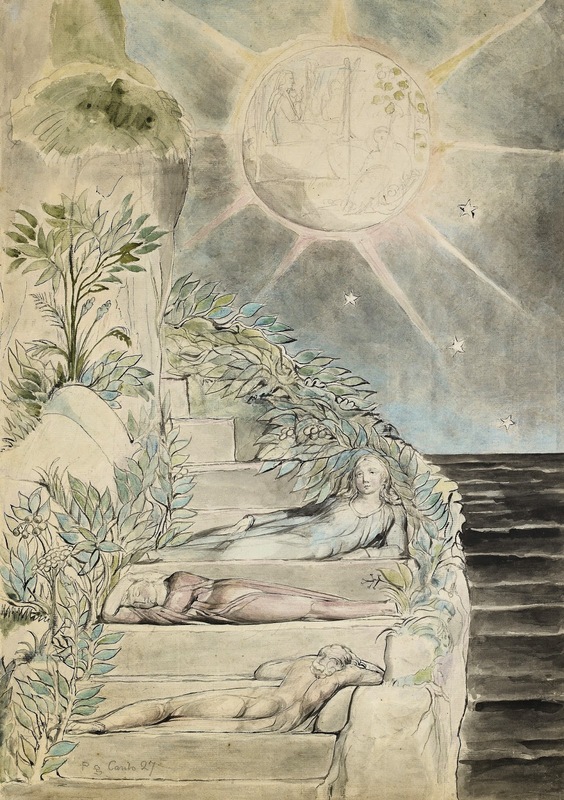 Blake's preference for the esoteric over the material and his lifelong commitment to the supernatural has made him a touchstone for New Age beliefs and aesthetics but here we see his vision reaching back down the centuries to interpret the spirituality of the ultimate Medieval morality tale. 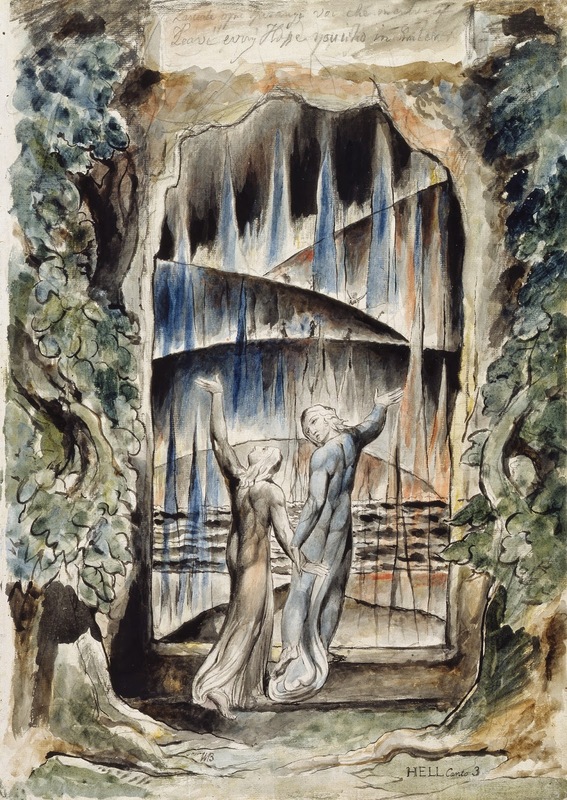 The Ashmolean's major Blake exhibition has just opened in Oxford and is full of more gothic watercolours like these and tells the history of his revolutionary poetry and his lesser-known stint in publishing.